By mid of 1994 I moved from Sharm el Sheikh – Egypt to Roatan – Honduras to look for a new area to work and live at as a recreational Scuba Instructor. In Egypt I was exposed to deep diving in a very informal way. By informal I mean a way that was back then, and might be even today, the stupid way. Single tank, air, the Aladin Pro and a depth limit measured by the size of your balls, regardless of male or female. By no way I want to make it sound cool. It was nuts and still is. I just did not know any better. As I moved to Roatan I continued deep diving and did so in the same way, together with some of our today’s diving industry leaders who probably never would admit that they did so. Again, I just had no idea on how to do it any other way. 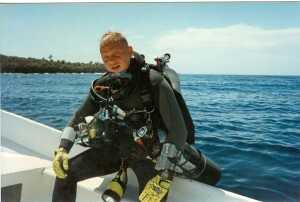 You have to remember as well that by 1995 Technical Diving was in its infancy. Trimix diving was almost unheard of, training for it even more so. Publications and information was sparse, the Internet did not exist yet, there was one Tec diver Magazine and a Tec show always coupled prior DEMA. I went later on to the Tec ’96 in New Orleans which happened to the last Tec show there was. In spring of 1995 came a defining moment to me. It did not came in way of tragedy but in the way of a small little green book. A friend of mine whom had lost a friend to deep diving in Roatan, there was a cross actually on the deep wall I visited a many times, handed me the “Mixed Gas Diving” book written by Bret Gilliam and Tom Mount asking me to please read it and to reconsider what I was doing. So I read it and it opened my eyes. 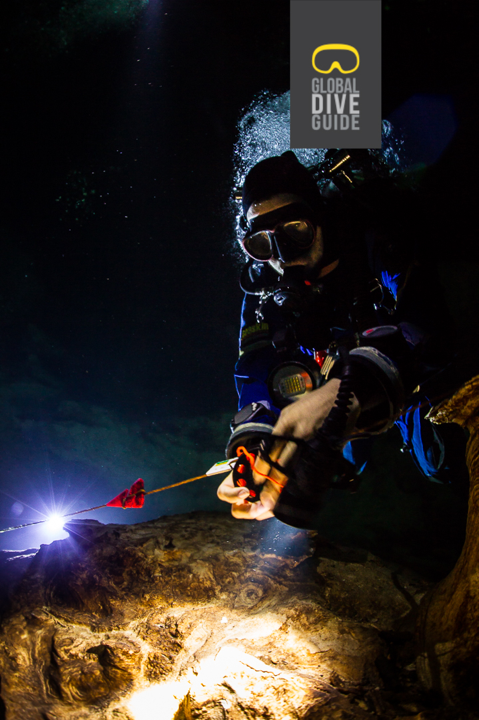 I stopped deep diving the way I did from one day to the other, saved up money, flew to Houston to buy an old Chevy Suburban and drove to Florida to seek my education in Technical diving. I was recommended Billy Deans in Key West but on the way down South through Florida I passed by Orlando where I was recommended another Instructor, Terrence Tysall of the then Orlando Dive Center. When I walked into the dive shop, dread locks mohawk, tattoo’s, ear rings and all they just looked at me as if I just came from Mars. I have to admit I felt the same towards them. They where strange dudes with sneakers and socks on, clean cut. After explaining that I had over a 1000 dives and was a full cave diver the attitude changed. Around the corner came Terrence whom by chance had met in Mexico at a Cenote just a couple of month earlier and who just came back from a sub 500 foot/150 meter dive in Lake Superior on the Fitzgerald. I had found my Instructor and as it turned out Terrence became my mentor for technical diving. Most of my deep and Trimix training, as I lived remotely on Roatan I took the Nitrox and Trimix blender courses at the same time, was conducted at the 40 Fathom Grotto where we run frequently into Hal Watts. He explained to us his experimentation with Trimix earlier on and the DCS hit he took as a result. Some dives where done on deep wrecks of Pompano Beach, Florida. Trimix diving and the Helium part in it was not very well understood back then, or to say the least, a healthy portion of skepticism was omnipresent. The trimix capable ProPlanner dive software just came out a little earlier and was a great tool employed during my training and years of mix diving after that. Helium was thought not to be the friend but the enemy, contrary what we believe today. So we went down on air to 200 feet/60 meter or so, did the change to Trimix and when coming back up changing back to air around 200 feet/60 meter. Sounds stupid from today’s point of view but back then there was no other procedure and new procedures just developed by the few people doing deep Trimix dives in the mid 90’s. As Helium was the enemy you go onto it late and come off it as soon as you can. At least I knew how do deal with narcosis from my previous deep diving adventures. After I got certified as Trimix diver and Trimix blender with prior Cave diver training I felt pretty good. Before I went back to Roatan I visited Key West and went diving with Billy Deans on the Wilkes Barre bow and stern section on two separate dives and days. They made me to the first dive on air to 220 feet/66 meter or so to assess my capability and see if I was fit to dive Trimix. Imagine that. Maybe it was the dread locks. Or the tattoos. Such was the way of thinking about Helium back then. Billy stayed on the boat while I was diving with some NAVY SEAL dudes. Needless to say I don’t remember much of the first dive. The second dive, having qualified to dive Trimix was a pleasure, the first one I can’t remember much, go figure. When I got back to Roatan I was eager to put my new found skills of Trimix diving and blending to the real world. I found this NAUI honcho who was visiting Roatan and was stockpiling Helium for a 1000 foot/300 meter dive. This was one year after Sheck Exley’s and Jim Bowden’s failed attempt in 1994. Not sure what happened but I was able to buy some Helium from him and got my mixes together for a 350 foot/106 meter dive of the wall of Roatan, a dive site called “Hole in the Wall”. I got all my gear together, suited up and off I went, solo that is, as there was no one in the proximity who could have come with me in terms of gases or training. The dive shop owners I was working for, West End Divers, gave me a ride to the dive site and I asked them to pick me up 3 hours later or so. 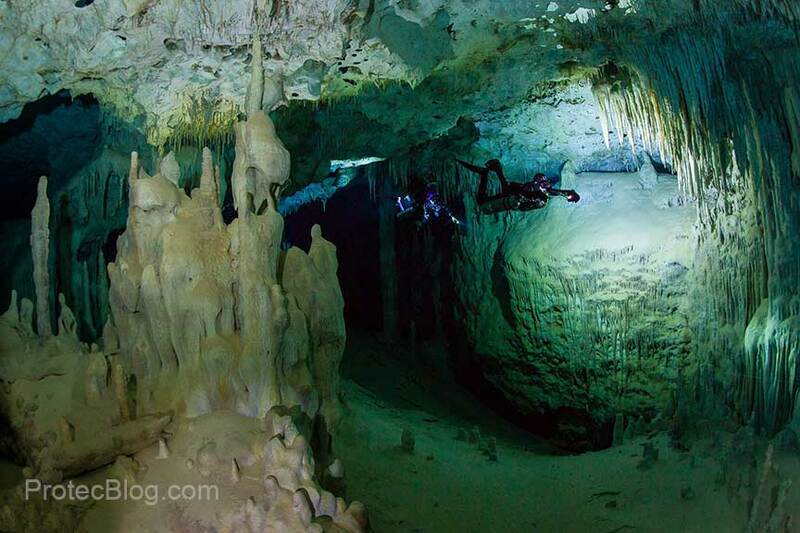 It was a beautiful dive, down the deep wall, with a clear mind, without narcosis. During my lengthy decompression the dive shop owners came back with a load of recreational divers as they dived the shallow reef around me, checking me out as a tourist attraction. This photo shows a defining moment in my life. Going from don’t know stupid deep air diving to read one book that changed my life, to get trained for technical diving and come back to do a solo 350 foot/106 meter Trimix dive in mid 1995. The image you see here is just seconds before I entered the water to do that dive.